Like many great things, Heating & Cooling Solutions started with a man, a truck, and a dream. 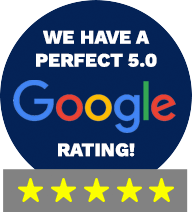 Through a lot of hard work, a team that operates with integrity, and the use of premiere HVAC product lines, we’ve gained a reputation for friendliness and honesty throughout Southeastern Wisconsin. Our fast, clean, and convenient service comes out of a passion for sustainability and comfort. Our Services range from high efficiency furnaces and AC units, to solar panels, hydronics, split systems and so much more. We’re proud of the work we do, and we expect you’ll value it too. We have been servicing our customers’ residential products from day 1, all makes and models, offering service and repairs, replacements, new installs and everything in between! When you have a proactive approach to maintenance, emergency service repairs are less likely. Ask us about the convenience and benefits of being a PMA member today. AC not blowing cold enough? Furnace on the fritz? Boiler making weird noises? Whatever you need, contact us today! We can service all makes and models, including yours! We’re not just keeping you comfortable at home! Contact us today for all your commercial and industrial HVAC needs. For service and maintenance, replacement or installs and even new construction, we’ve got your business covered! Proudly serving our residential and commercial customers for nearly a decade, the team at Heating & Cooling Solutions is ready to be “Your #1 Solution For Indoor Comfort!” With the ability to service all makes and models, and the passion for all things HVAC, we look forward to providing you with exceptional service! Manufacture and FOE Rebates Available! Save your pennies and consider a flexible financing option!